The thing that seems to bother him most is the schedule. Scheduling Interleague games creates a strength of opposition problem, which he believes is unfair. It is, and I said the same thing when I was managing. We had to play our in-state “rivals,” the Rangers in a series at home and in Arlington, while the Cardinals did the same thing, playing the Royals. At that time, the Rangers were a much better team than the Royals and we were in close competition with the Redbirds for a division championship or a Wild Card berth. Shortly after I made my complaint, I was put on notice not to say it again. MLB is adamantly against any kind of criticism. They want everyone to do everything exactly the way they prescribe it with no exceptions, no complaints. Actually the strength of schedule problem didn’t bother me much. I viewed it as a minor issue because of the length of the season. During the course of the year, you catch some teams when they’re hot, some when they’re cold. You play them when they have several stars on the DL and when they are perfectly healthy. And you have no control over that. In that sense, the Rangers or Royals issue didn’t seem that important. What is important, going forward, is the balance of the schedule now that there will be 15 teams in each league in 2013. That is an awkward number. I’m not sure how the schedule will look with Interleague games being played throughout the season. My guess is that it will prevent head-to-head matchups among division contenders in September. Those matchups are the essence of the pennant race. We lost them for a few years at the beginning of Interleague Play and it was so obvious that MLB returned to an unbalanced schedule so that teams within a division would play each other down the stretch. I don’t know if that will be possible in 2013. Another thing that bothered Whitey and bugged me too was the last expansion. It was clear to a professional observer that the talent was already diluted and further expansion would only make it worse. I know that if you can expand, you can also contract; I also know will never happen. If you could go back to 28 teams, it would help with the dilution problem. But the scheduling would still be ungainly. To get to a number of teams that could provide a really good schedule, you’d have to go back to 24. Or you’d have to expand to 32. This is where Whitey blew my mind. He actually supported the 32-team scenario, and he wrote about it thirteen years ago! In his mind, the sanctity of the schedule is more important than the paucity of Major League-caliber ballplayers. And I’m not sure I disagree with him. The problem is that there aren’t enough cities to support MLB now. I think you could move the Rays to San Antonio and improve the current set-up. But when you look at the smaller cities that can support football and basketball, you won’t find any that can draw enough fans for 81 baseball games, not to mention compete with teams in big cities for local TV revenue. Then there is the geographic problem. There aren’t enough big cities in the western states. In baseball, you play every day. And you just can’t keeping hopping back and forth from coast to coast without serious jet-lag. The only reason Whitey grudgingly recommended 32 teams is that he’s been around a lot longer than the current owners and has seen how we got into this mess to begin with. He traces it all the way back to the designated hitter. In the early seventies, baseball attendance, especially in the American League, was losing ground while the NFL was ascending. Pitching was dominant back then, so the A.L. owners decided to “experiment” with a DH to add more offense to the game. It worked, but there was an unintended consequence. The DH was almost always a high-priced player. With the inroads Marvin Miller was making for the players in the area of free agency and arbitration, salaries were climbing even without the DH. The owners would need to create new revenue. Whitey could see it coming. From that point, 35 years ago, just about every change in baseball was a result of the owners trying to enhance revenue. The way he describes it is that they shoot first and aim later, and then try to figure out how to clean up the mess. Each time revenue-enhancing changes brought problems, they shot again without aiming. Expanding to 32 teams would at least allow for a balanced schedule. The consequent dilution of talent problem would likely solve itself over time. Further expansion would create more cities that can’t compete financially. But from my perspective, which goes almost as far back as Whitey’s, that would still improve the big picture going forward. And the owners might like because it would create more immediate revenue. Anything you change at this point will require further adjustments. But if you get the schedule issue solved, at least you would be aiming before you shoot. And at least you wouldn’t shoot yourself in the foot — again. If you look at population figures in the U.S. in the mid1950’s when there were 16 major league teams, total population was approximately 180 million. In 2012 the population approximates 310 million. Also, in 1955 there were no Japanese or Australian major league players and only a fraction of the Latin players now in the big leagues. The pool of talent is actually greater today then it was in the mid 1950’s and scouted more thoroughly then at that time. I understand the argument that football and basketball today, attract athletes that might otherwise have become baseball players in the 1950’s. In most cases however, athletes of major league caliber in two sports usually select baseball because of the longer career and lower incidence of career ending injuries. 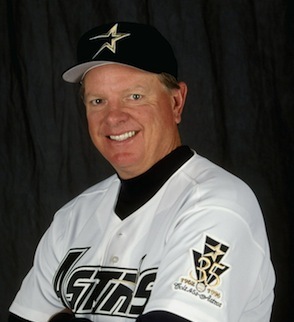 Larry Dierker’s claim that there are not enough cities to support all the teams has some validity but the real problem is a concentration of population in several areas. The New York metro area could easily support a third team. The Yankees outspend all other teams because of their huge cable deal. If that market were split by approximately one fourth to one third, Yankee attendance and cable revenue would very possibly decline. It would not happen in one or two years since the Yankee fans have been fans for most of their lives but over a decade there would be a change. Los Angeles and even Dallas could possibly support another team. However, the owners in these markets would actively resist establishing another team in their markets because of the competition. This is a great look into a different side of Baseball. A side most fans wonder about but don’t have the time or access to really look into. Thanks for this insight Mr Dierker. Just one question: when will you write again????? Its been six months. Some truly fantastic information, Sword lily I discovered this. “The language of friendship is not words but meanings.” by Henry David Thoreau. It’s going to be end of mine day, except before ending I am reading this wonderful article to improve my knowledge. If you are concerned to learn Search engine optimization methods then you must read this paragraph, I am sure you will take much more from this paragraph concerning Search engine marketing.